April showers bring May flowers, but it also brings out patterned umbrellas and rain boots of every sort! The Upper East Side is one of our favorite areas to seek out street looks of timeless style and accessories especially with the tartan influence seen everywhere! 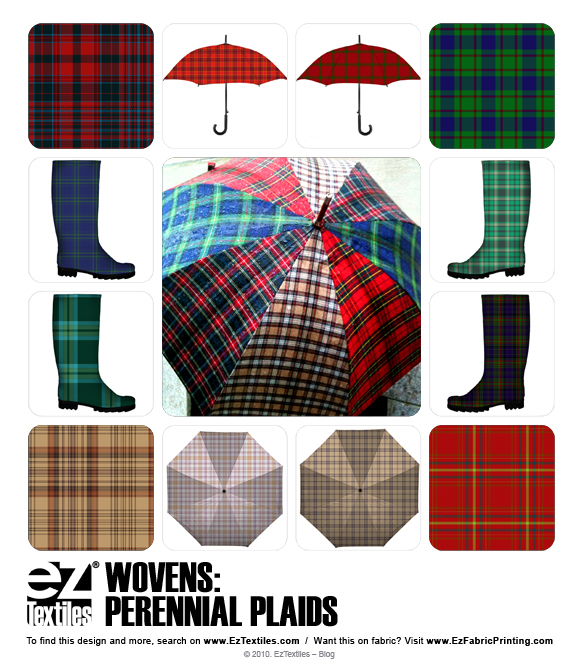 Check out this great shot of a multi-patterned umbrella in various balanced plaids, all in classic collegiate colorways! 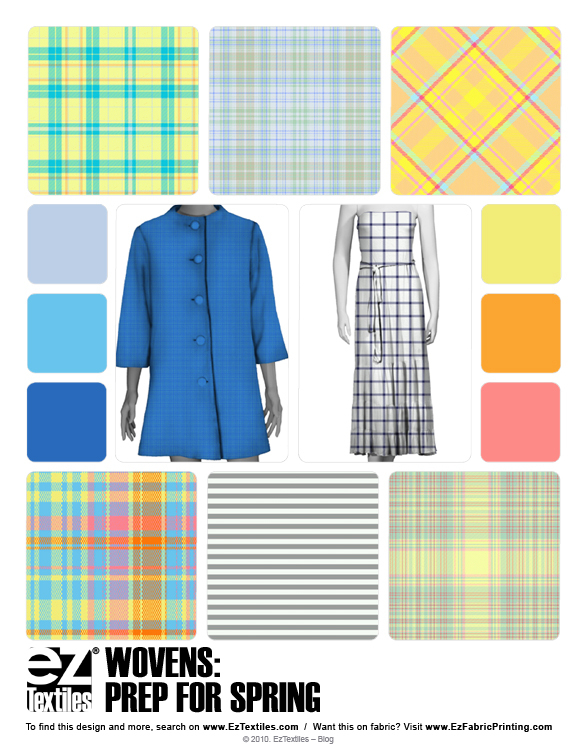 Get inspired, check out and download the patterns shown on this board! 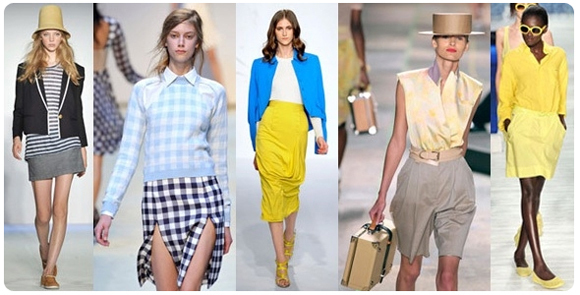 Plaids of all layouts, colors and sizes are everywhere these days, and recent designer runway shows give evidence of an ongoing trend! 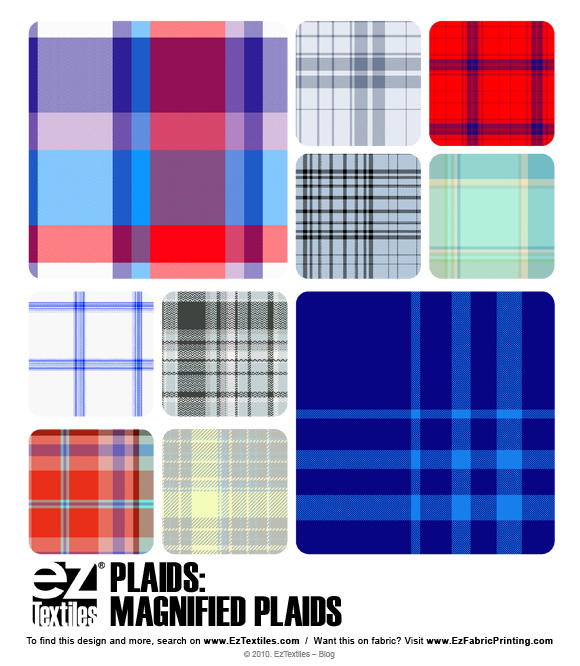 We have millions of plaids ready for you to download! 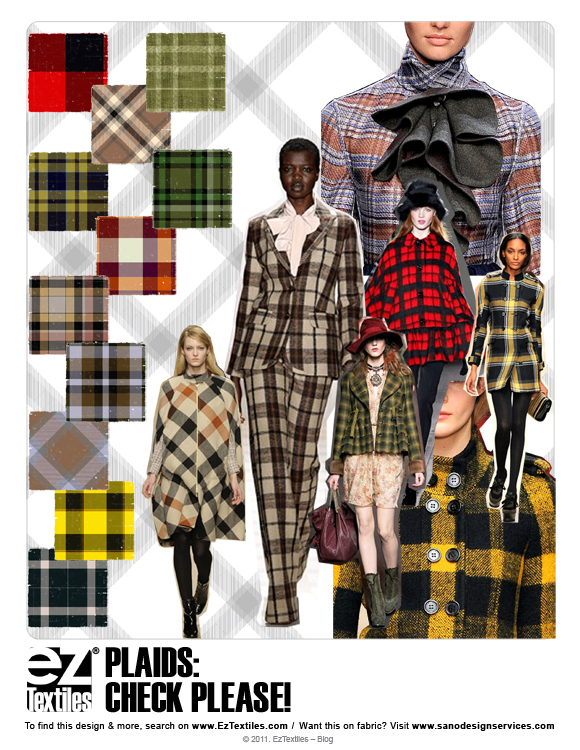 Heres a new way to interpret plaids, make them tonal! LeFashion posted this great editorial spread featuring some great patterns, instantly inspiring us to use the EzTextiles library to find similar wovens with the same feel and look. Check out our boards images of artisitic painterly effects achieved using tonal colorways! 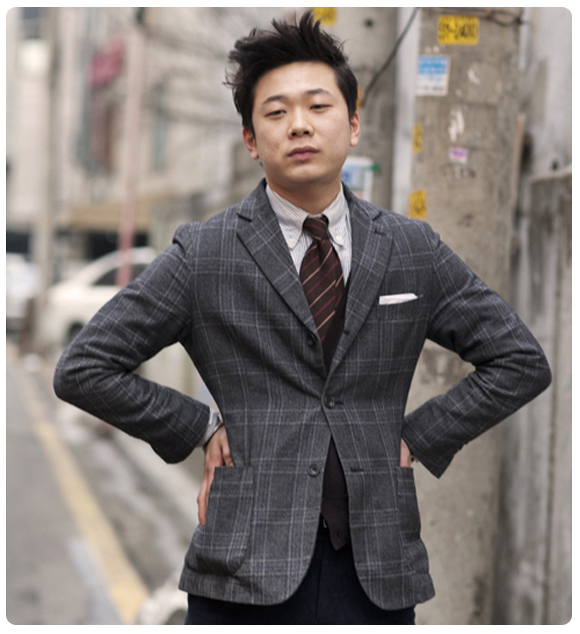 We came across this great shot from the Sartorialist and we were instantly inspired by the experimental use of mixing a large neutral balanced plaid, against a bias striped tie! 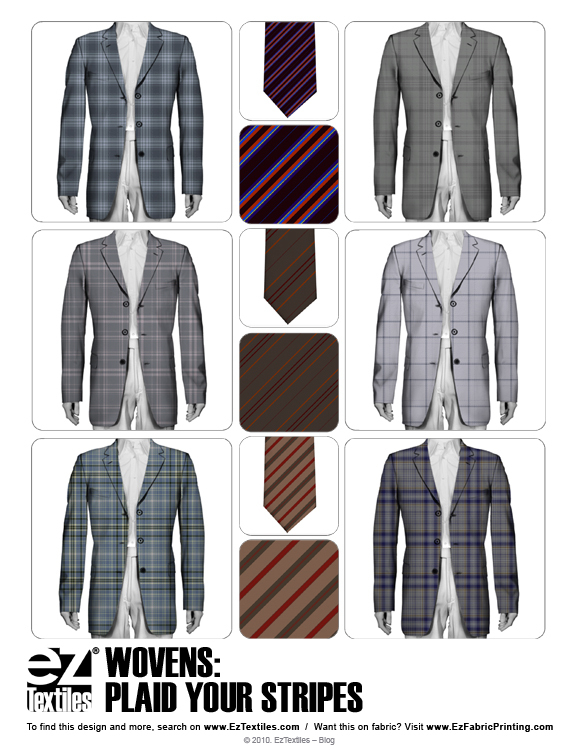 We love that this look isn’t too over the top… It still has a classic appeal, but keeps the blazer style from looking too boring or traditional, especially with a little subtle color in the stripes! 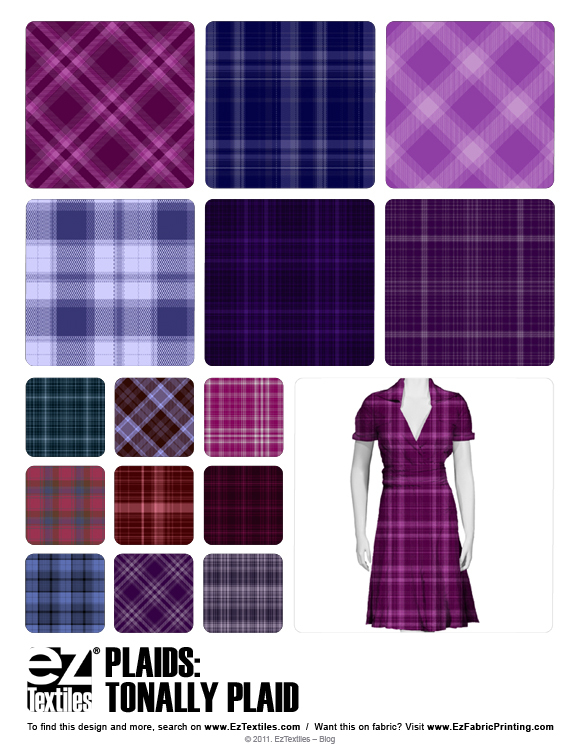 Check out our inspired plaid & bias stripe combo board to download them. 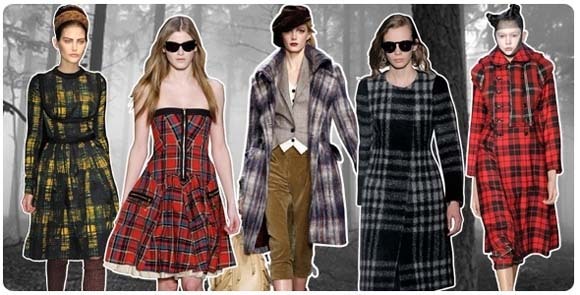 Lumberjacks need not apply for Fall/Winter, because Jane has arrived with her plaid in tow. 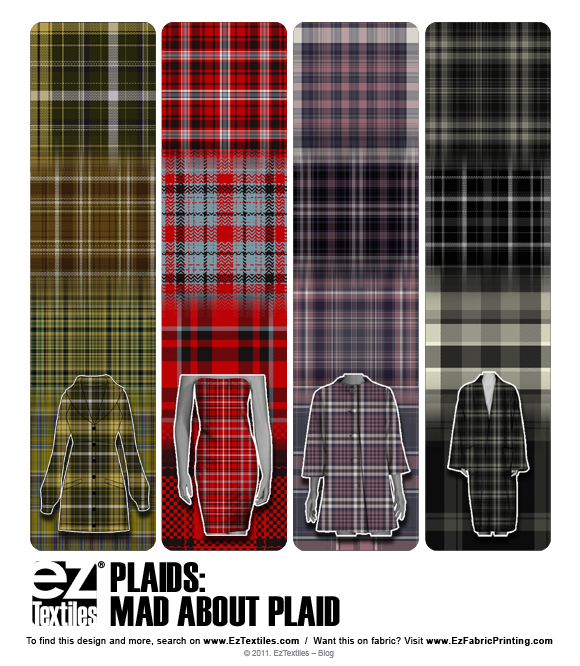 This traditional tartan was seen carried throughout the runways in dresses, pantsuits, top, bottoms, you name it. 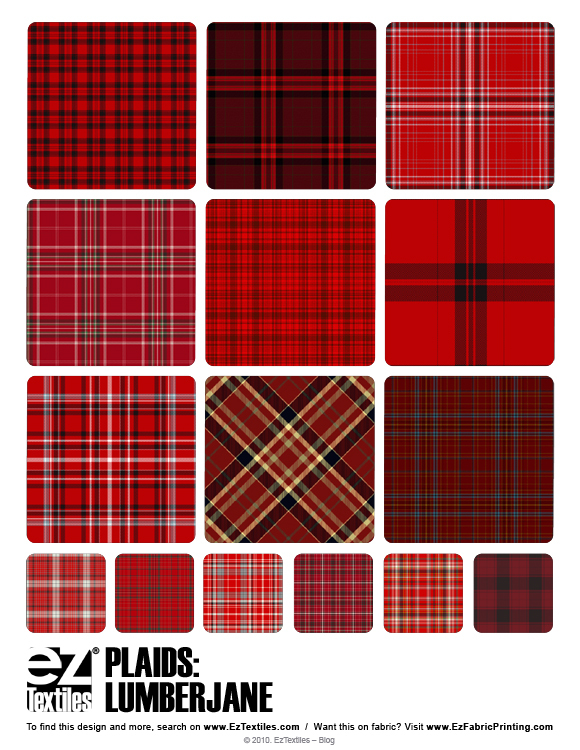 We loved that this classic lumberjack style tartan is being brought back again… You know you can’t go wrong with this colorway.